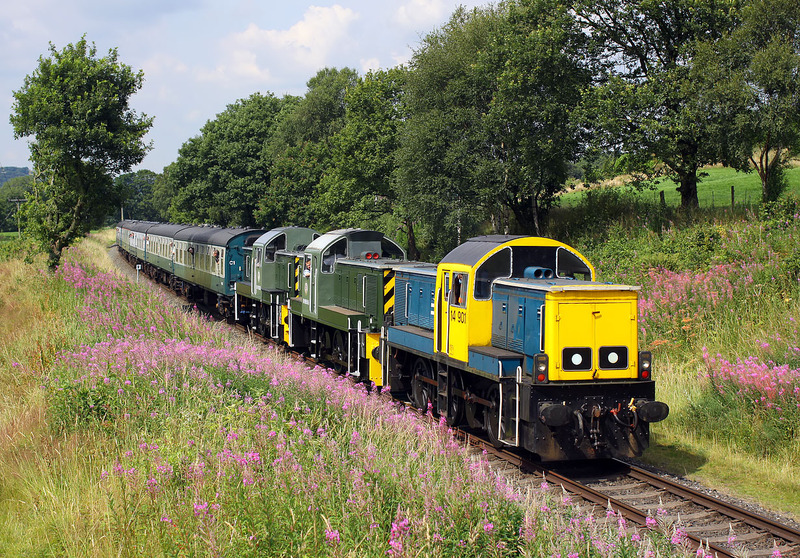 The East Lancashire Railway held a special Class 14 Gala over the weekend of 25-27 July 2014, to celebrate 50 years of these distinctive locomotives. 14901 (D9524), D9555 & D9520 pass Burrs on 26 July with the 1J72 14:06 Rawtenstall to Heywood service. The lead loco shows the livery that the class may have ended up in if they hadn't been withdrawn in the late 1960s.